This great design with a deer under a full moon with the words “Life Is About Courage And Going Into The Unknown” printed on a black Gildan 100% cotton. 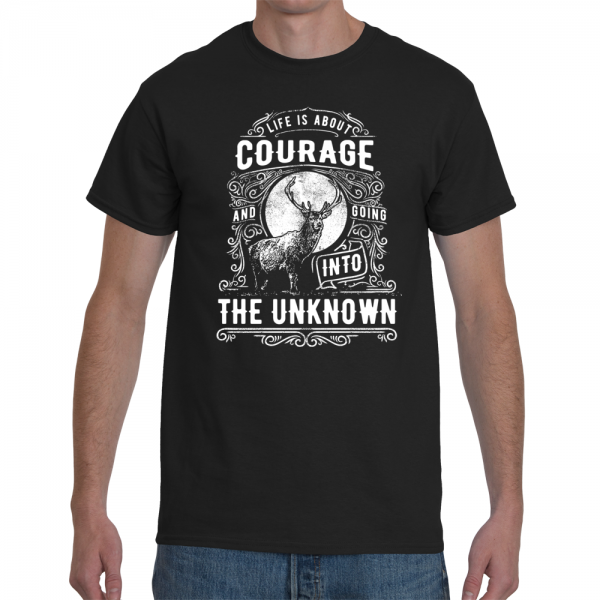 Courage Into The Unknown T-shirt grabs attention for adventure seeking folks. 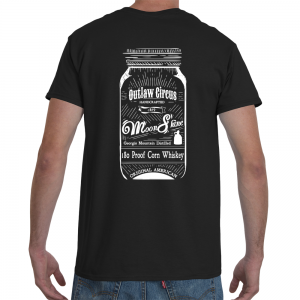 Wear this shirt to a field party, into town fo a quick bite, or anywhere your goal is to impress. Have The Courage to make the leap and get this T today! If you’re a fan of the Ben Stiller movie The Secret Life Of Walter Mitty, this a quote from Kristin Wiig’s character in the film.